France is the most visited country in the world, but many tourists only make it as far as Paris, and neglect some of the country’s most stunning regions. This year France is particularly well represented on 2019 travel lists–some destinations are not so surprising (Lyon, Marseille) while you may be unfamiliar with others (we’d be impressed if you could locate Arles on a map!). We’ve decided to compile a few 2019 destination lists (from the NY Times, Nat Geo, Architectural Digest and others) so that you can easily figure out which places you must visit in France this year. This ancient Provençal city, best known for its connection to Van Gogh, was chosen as one of Architectural Digest’s Top 20 Places to visit in 2019. 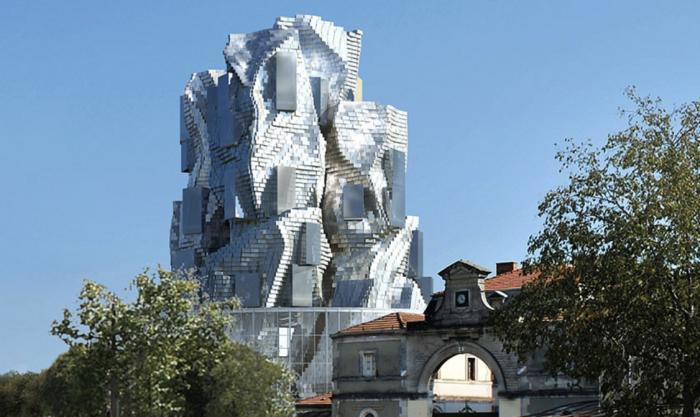 Starting in 2017, various parts of Arles’s enormous new arts center, LUMA, began opening. The final part of the center, a Frank Gehry tower (pictured above) will be completed in 2020. The 183-foot tower will house exhibitions, a library, dining spaces and offer incredible views of the Camargue. 2019 is the perfect time to discover Arles’s École Nationale Supérieur de la Photographie (which opens in September) and the city’s renowned Museon Arlatan, set to reopen in December. 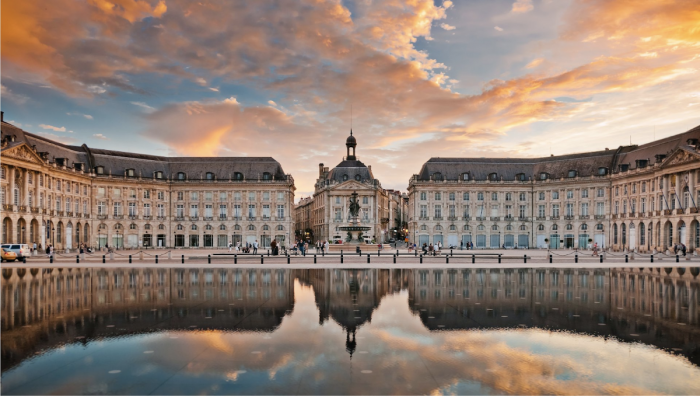 Bordeaux is consistently ranked as the French’s second favorite city after Paris, and in 2017 the city became the largest urban UNESCO World Heritage site. In the past few years, Bordeaux has changed dramatically: 2013 saw the opening of the Pont Jacques Chaban-Delmas, Europe’s largest lift bridge, as well as the transformation of over 7,500,000 square feet of former docklands into more than 5,000 apartments and waterside attractions. La Cité du Vin, a viticulture museum located on the Garonne river, opened in 2017 and already draws wine enthusiasts from around the world. More and more Parisians are moving to Bordeaux, and locals complain about accelerating gentrification; visiting the city in 2019 will allow you to discover some of its unchanged quartiers before they lose their quaint Southern charm. This little Alsatian city appears on every “fairy tale towns you have to visit” list. You should go to Colmar for its absurdly picturesque canals and half-timbered buildings, but also for its Unterlinden museum, which recently underwent a three-year, 44 million-euro expansion. There’s now a new modern art wing that houses works of Picasso, Monet and Léger. The renovation also included the reopening of Sinn Canal, which is lined with sandstone steps and traverses the new Unterlinden Square. National Geographic selected this famous region of France for its top trips of 2019. This year is the 100th anniversary of Félibrée, an annual Dordogne festival which celebrates Occitan food, music, and dance. 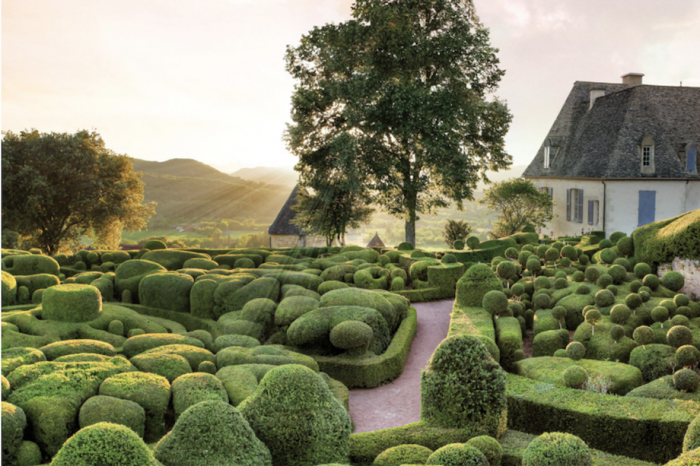 There are nine Michelin-starred restaurants and fifteen UNESCO World Heritage sites in Dordogne, but, compared to other regions of France, it’s not a very popular tourist destination; as Nat Geo puts it, “its emptiness is by far the Dordogne’s most luxurious asset.” If you’re a fan of sumptuous European gardens, you have to go to Dordogne. Pictured above is the Chateau de Marqueyssac, whose gardens feature in the list of France’s jardins remarquables. Lyon made the 2019 New York Times list of travel destinations because this year the city is hosting a countrywide International City of Gastronomy project, an exhibition that includes interactive workshops and conferences designed to showcase France’s cuisine. The exhibition will take place in the Grand Hôtel Dieu, which has just reopened after four years of renovations with shops, restaurants, public spaces and a five-star hotel. If you’re a sports fan, you might also want to visit Lyon this summer: the city is hosting the FIFA Women’s World Cup from June 7th to July 7th. In 2013, Marseille was named the European Capital of Culture and this year the New York Times selected it as the only other French city (besides Lyon) to visit in 2019. La Marseillaise, a red, white, and blue skyscraper has just opened in the city, and a plethora of new shops (including the amazing food store Épicerie I’ldeal) has recently sprung up in Marseille’s Noailles district. Near the opera you can also find new boutiques and cafés such as Deep, an artisanal coffee shop that roasts its own beans and also sells vinyl records. 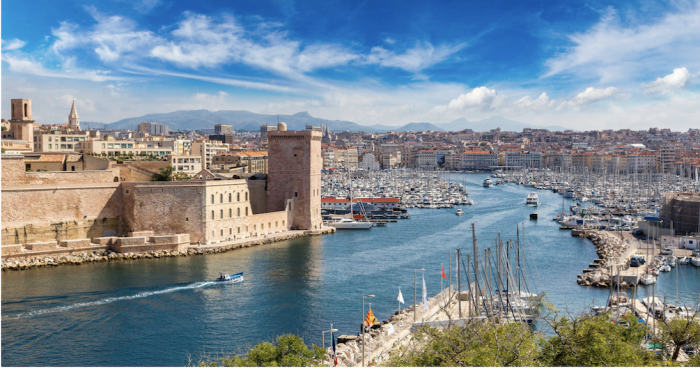 Because Marseille is the second largest city in France, it has something to offer for everyone, and you can’t be disappointed by the weather if you go between April and October. To finish off our list, we’ve chosen a lesser-known destination: Île de Ré, a haven for beachcombers and cyclists. The island has been called the French equivalent of Cape Cod, and although it also draws comparisons to the Hamptons, it’s become a popular destination for budget travelers. There are ten villages on the island, each with its own market, where visitors can buy typical French delicacies such as fresh oysters or locally made sea-salt caramels. Easy to reach by bus from La Rochelle, this is the perfect summer destination for francophiles in 2019.